Meridian Place is pleased to announce the the addition of Sprint and a new retail building slated to open later this fall. Sprint will occupy 2,500 square feet of the new building developed by Goode Properties. “This is another great milestone for Meridian Place and the MoRA area,” said developer Roy Goode. Goode added that Meridian Place continues to see strong interest from retailers and restaurants attracted to the evolving MoRA area that is becoming a hot spot given its central location and easy access to Uptown, SouthPark, Matthews and so much of the Charlotte region. Construction will start in February on the new 10,000 square foot retail building on Conference Drive adjacent to the Embrace sculpture completed last fall by the MoRA community. 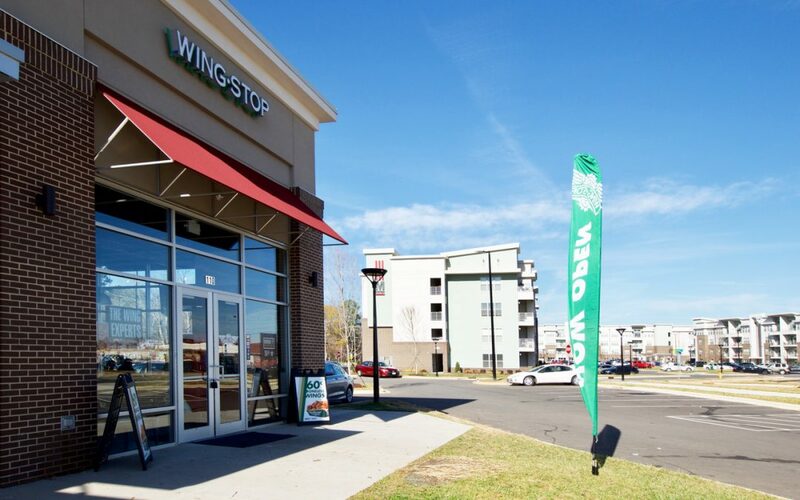 Sprint will join Hawthorne’s NY Pizza, McDonald’s, and a recently opened Wingstop at Meridian Place in addition to the M Station Apartments that Goode reports as fully leased.